Don’t know what to write in a 60th birthday card? Looking for some fun, creative or classy ideas? We’ve selected the best ones for you! 60 years old is a big date that deserves the best greeting ever, and you have a chance to write one even without trying to write like Shakespeare. If you prefer to congratulate your friends and relatives on social networks, we have another great option that will definitely make a receiver smile. Hilarious memes and cool GIFs will say everything for you! So, your dear friend is turning sixty, and that’s a big event to celebrate. But what words to say if you two are together for decades? 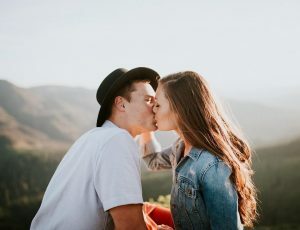 The good news is that people always want to hear the warm words from the people they love, even if they were said for thousands of time. 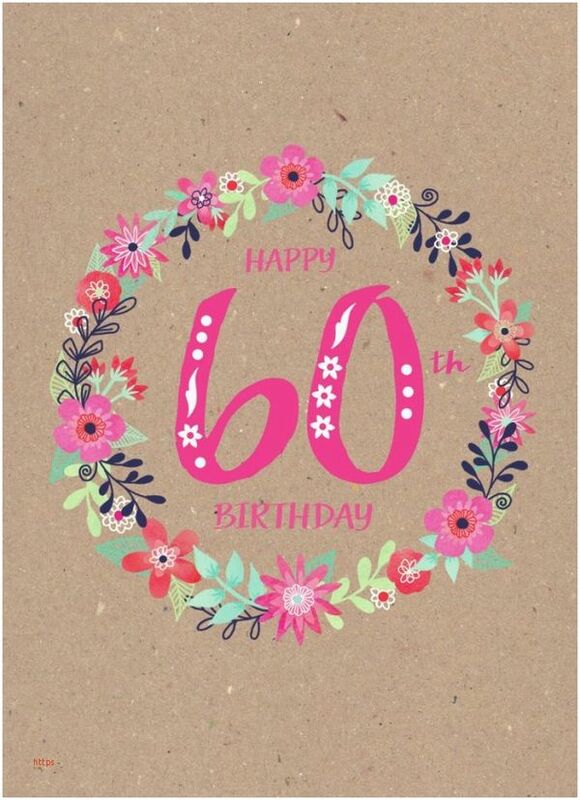 Still, if you’re looking for some great ideas to encourage and inspire your grown-up bestie, check out the wonderful 60th birthday toasts and sayings she will absolutely love! The warmest birthday wishes to my dearest friend. Always be positive and never look back. From now you live your life only for yourself. But, first of all, take this party! Congratulations on 60th birthday! 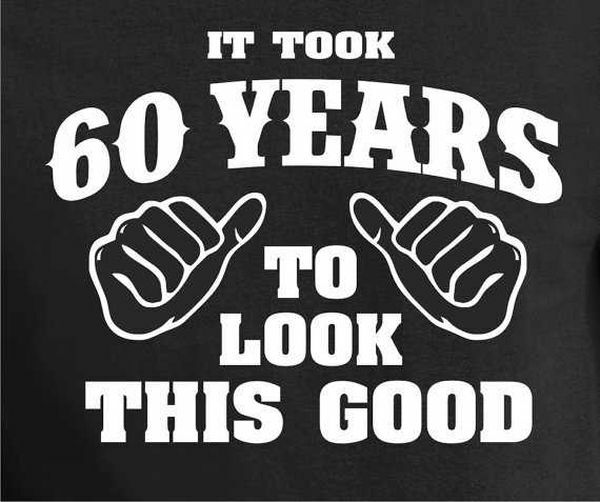 You have been traveling around the sun for 60 years now! Here’s to more trips and a longer and fruitful journey through life. 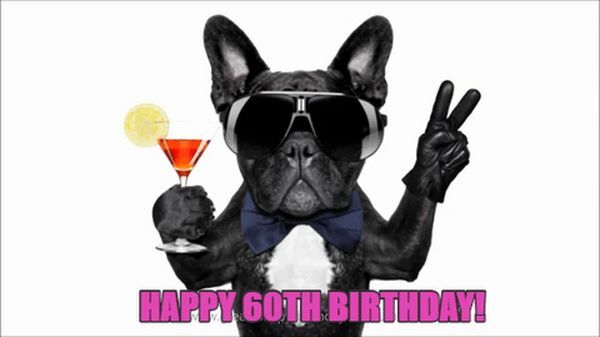 Congratulations on 60th birthday, dear! May this day be overflow with happiness and goodness. 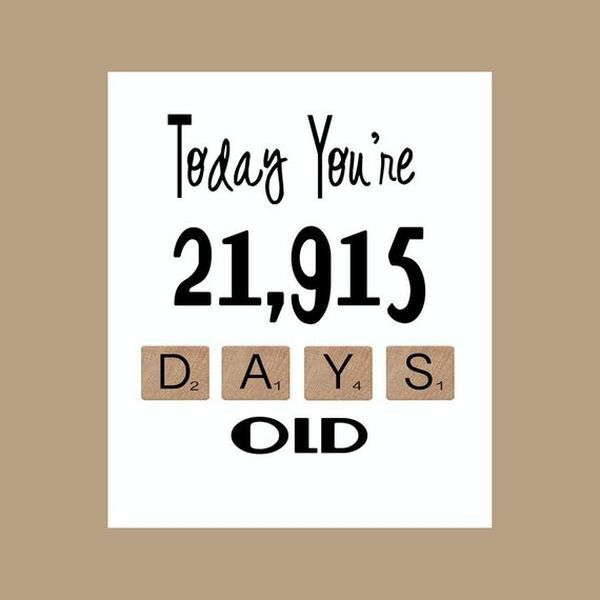 Enjoy this day and don’t even try to think you are old. You just are full of good experience. Happy birthday! Happy birthday my wonderful friend. May your 6oth birthday be loud, funny and bright. You are still young and crazy. Congratulations, dear! 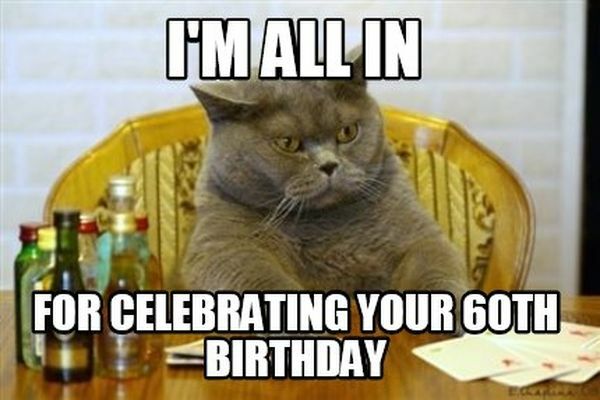 Wishing a dear a friend, a Happy 60th Birthday! You have never ceased to be there for me, during good and bad times. May your birthday be joyful! May you only keep company with people who love and support you! 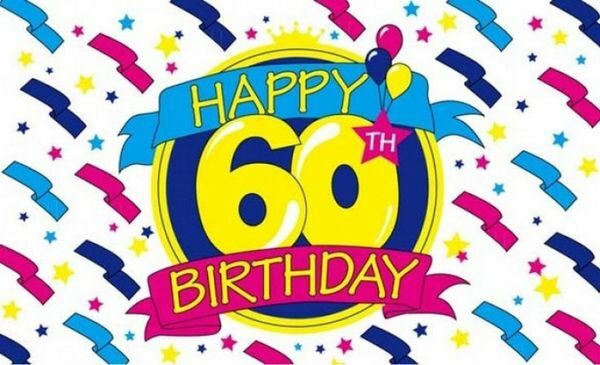 Sending you a wishes, on your 60th Birthday! I wish you complete and utter happiness! I wish that your children and grandchildren always see what a stupendous person that you are! I wish only the very best, to a devoted and fantastic friend! Sixty years of bringing joy to the entire family. How awesome can you get? Sending a Happy 60th Birthday wish, overflowing with love and appreciation to my very, best friend! I hope that you are surrounded by even more grateful people! I am blessed to know you! Are you looking for a truly awesome greeting that will blow everyone’s mind? 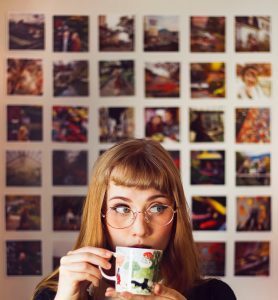 Do you want to sound creative instead of looking boring? In this case, you should forget about the traditional, well-known words people usually say to each other on important occasions such as birthdays. Bet on humor! The sixtieth birthday is the event that definitely deserves a great funny toast! The best thing is that such greetings are perfect for everyone from husband or wife to dad, mom or sister – the only requirement is a sense of humor! Life is short. Smile while you still have teeth. 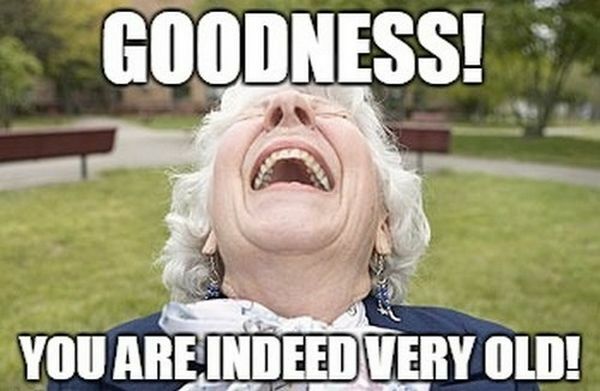 Just a few more years until senior citizen discounts will pay for half of all your expenses. Q: What goes up and never comes down? Congratulations, you are now old enough you can use your back or your demented mind as an excuse to get out of just about anything you don’t want to have to do. Happy 60th birthday! 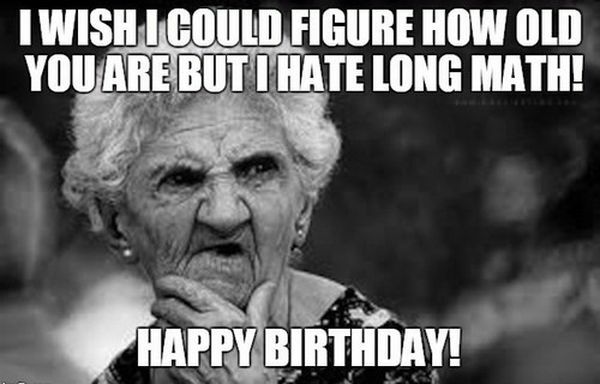 Congrats, you’re 60! Time to start yelling at the television. Happy birthday! At 60, you’ve definitely been around the block a few times — let alone the entire neighborhood — but you look DAMN GOOD doing it! One good thing about being 60: when you can’t find your eyeglasses, they’re almost always on your forehead. At 60, there’s no time to take yourself too seriously — especially when everyone under 60 takes you seriously anyway. Happy 60th birthday. Good thing people don’t age as fast as some other things like dogs, cars, or computers. I’m glad you are a human instead of a dog, because otherwise you’d be dead by now. 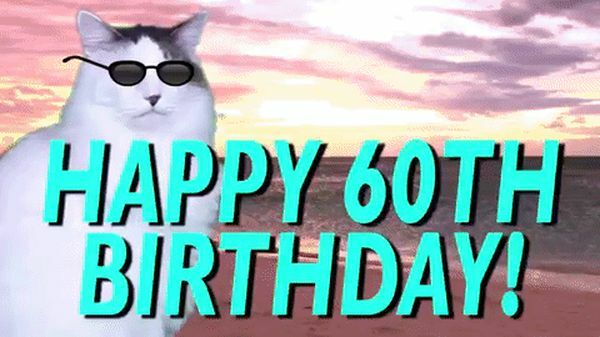 Congrats on turning 60. Don’t turn so fast, though — you may hurt your back. Happy 60th birthday. All your life you have believed that age is just a state of mind. Now your body will prove you wrong. Happy 60th birthday old timer. Calling your friend old man when he’s turning sixty is a must! After all, it’s what friends do, make fun at each other, especially when the occasion is so significant! Of course, friendship is not only about the jokes: it’s also about support, mutual respect, and endless love. However, if you don’t want your 60th birthday speech to sound too frivolous, you can always say some words from your heart or from our list. Age is a state of mind. Think like you’re 40, and dress like you’re 50. Live like 60 is in the distant future. Happy Birthday. Your 60 years of living have been a great blessing to your family and friends, and our lives are all enriched because of you. 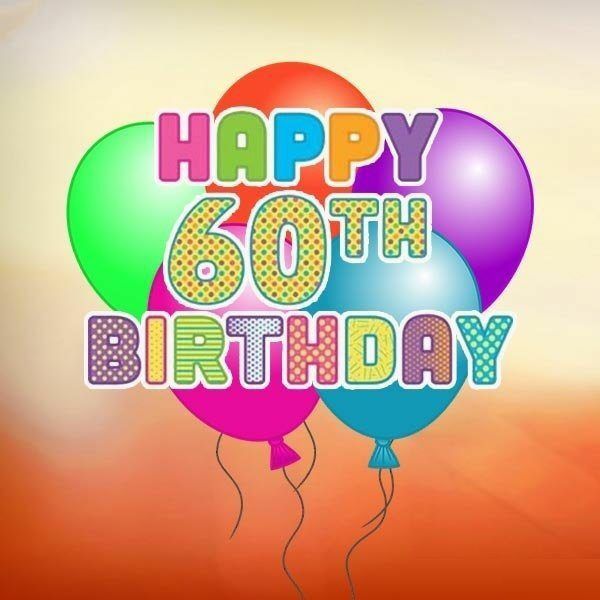 We’re wishing you a great 60th birthday! Happy 60th Birthday. Hope you continue to live life to the fullest — in good spirits, good health and good times. Congratulations on turning 60. Be proud, be happy and be yourself. At this age the only opinions that matter are your own. At 60, you have the combined wisdom of 6 10-year-olds, the intelligence of 3 20-year-olds, the wit of 2 30-year-olds, and the memory of 60 1-year-olds. You leave everyone in awe. At 60, you have more going on in your life than most people have in a whole lifetime. You’re an inspiration to me and everyone who knows you! You leave us all wondering… what’s next for this fascinating person!?! You are awesome!! Happy 60th Birthday! 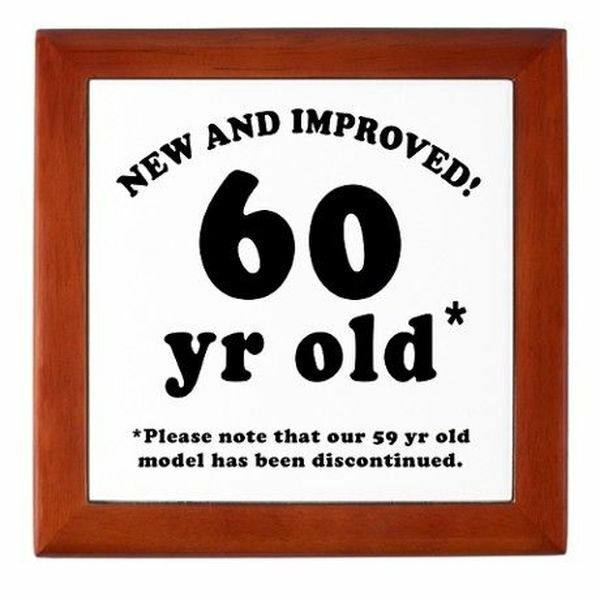 You are more fabulous at 60 than you were at 50. Happy wonderful birthday to you. 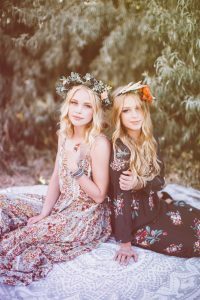 A friend is a person who fills our lives with beauty and grace and makes the world we live in a better and happier place. Thanks for making my world a safer place to live in. Happy Birthday! Some may think of 60 as getting older, but it’s actually an amazing time in a person’s life where they can take stock of who they are and celebrate each new day with a renewed sense of self! Live life to the fullest! Happy Birthday! 60 is the age of reason. You’re mature enough to avoid bad decisions, and you’re young enough to remember past mistakes. 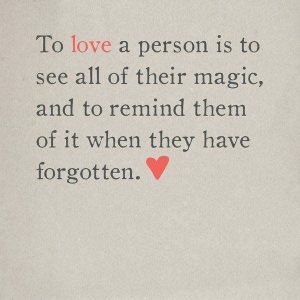 You are an amazing person and the best friend of mine. May God give you all his love and warmth in every step of yours. Wishing you a very Happy Birthday! On your birthday may all that you asked from God be granted to you hundred fold! Happy Birthday to my dear old man! Ironies, sarcasm, sense of humor are what allow people to live happily. When everything seems more than bad, a good joke and even self-mockery help you smile and understand that if you can laugh in such kind of situation, it’s not over yet. Of course, turning sixty is not a catastrophe or a problem: it’s just the age when you are smart, wise, surrounded by children and grandchildren, and very sarcastic. Why not use this to congratulate your close person? Look through the funny sayings and clever quotes that can make anyone smile! Youth is a work of nature, but age is a work of art! Congratulations on your second childhood! Just like fine wine, you grow better with the years! Keep calm it’s only a number, Happy 60th! Like a beautiful flower sparkling with dew Your radiant smile is each day renewed. Your grace and beauty on your diamond jubilee Are an inspiring sight for all to see! Happy 60th birthday to the most greatest and generous person I have ever known. Thank you for all your advice and support. My 60th birthday wishes to you is that you continue to be an inspiration to anyone who crosses your path. After 6 long decades on this earth, you haven’t slowed down one bit. Your charm, health and upbeat attitude are an inspiration to us all. May you continue to live life in the same way as today we celebrate your 60th birthday! Happy birthday to such an an amazing human being. On your birthday, my 60th birthday wishes to you is that you continue to find yourself in high spirits, especially today, to celebrate this milestone with the people who truly love you. Famous people also have a sense of humor! You don’t want to miss the fantastic quotes that show the whole power of sarcasm. If you aren’t a big fan of dark humor, no problem, there are some encouraging, inspirational sayings as well! You’re 60 today. It’s a great time to start lying about your age. Tell them you’re 75, and they’ll marvel at how young you look for a septuagenarian. Here’s a secret: When you turn 60, you make your own rules. Happy Birthday! Congratulations on turning 60. Now you can wear anything you want, and no one will care. Old age isn’t so bad when you consider the alternative. 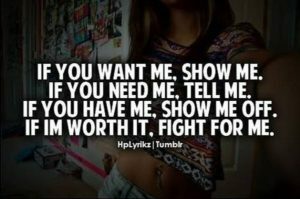 Promise me one thing. Please, whatever you do, don’t look up the average life expectancy now that you have turned 60. They tell you that you’ll lose your mind when you grow older. What they don’t tell you is that you won’t miss it very much. Now that you’re 60, you’re going to have to stop acting like a 20-year-old. Your midlife crisis just graduated. Scientist say that with the latest medical technology, the average life expectancy is set to be 120. If that is true then you’re still only halfway there. Feel free to have a second mid-life crisis. Ha-Ha! Happy 60th birthday! 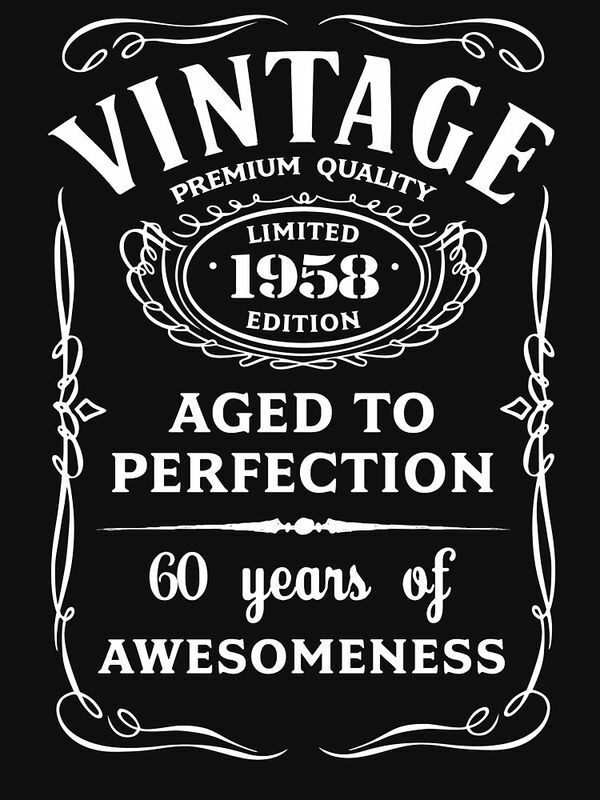 60 is the new…. Wait… what was I saying? Never mind, have a truly memorable 60th! Every wrinkle has its story. You must have a lot of stories to tell. Happy 60th Birthday filled with lot of happiness and joy! Turning 60 is not a disaster. Let the 14-year-old teens think that people don’t live this long, it’s up to them. Older people know that although the wrinkles become more and more noticeable, it’s their time. They don’t have to fight for life, for them, it’s time to harvest and enjoy life to the fullest! This age is especially great when you know that though not everything you did was right, you’ve been living a happy and meaningful life. Don’t let your close one forget about this on his big day! Warm words are undoubtedly touching, and they’re even better when paired with a cool birthday image. 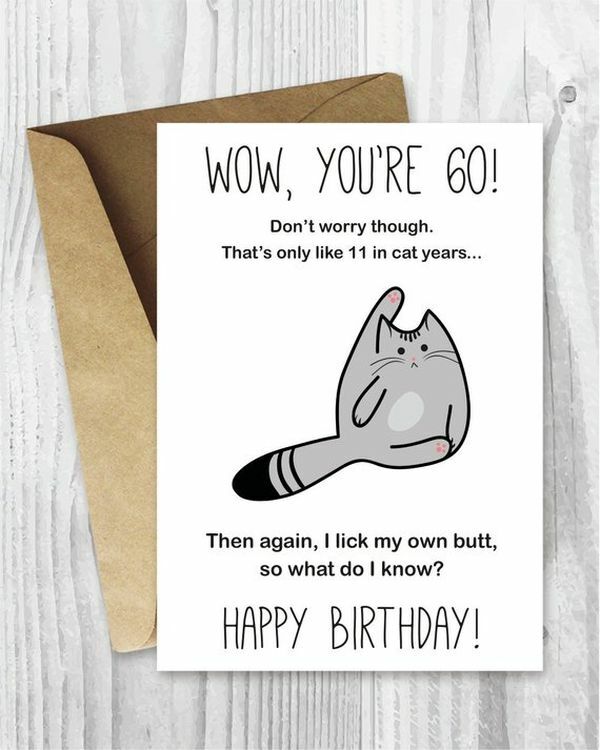 The best thing about them is that you can download and share one of the pics on Facebook or Twitter if your old man is that trendy, or just print a cool image that will be a great alternative to an ordinary birthday card. Don’t be afraid to be creative, a receiver will definitely appreciate that! Of course, we all understand that growing old is not easy. But come on, if you can send your 60-year-old grandma or grandpa, mom or dad or a friend a gift on one of the social networks, there’s really nothing to worry about! They’re young at heart, and that’s the only thing that matters! Make a nice surprise to your dear relative or buddy by sending him or her one of these awesome memes or gifs. They’re an inevitable part of the modern culture, and the receiver doesn’t seem to be a person that doesn’t follow the current trends!